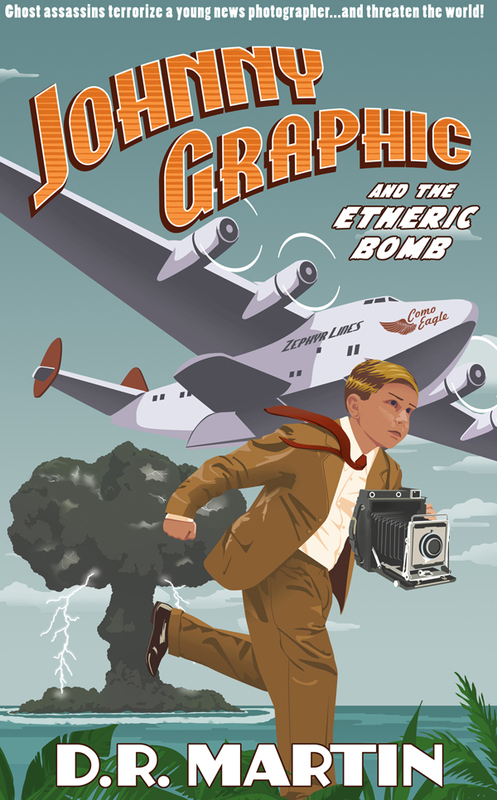 In Johnny Graphic’s universe, events have taken place in the past that created a world rather different from our own. Not only are ghosts very real and capable of interacting with the physical realm, but history has changed in important ways. For example, a civil war very much like the American Civil War took place in the mid-1800s. But the southern region won the conflict and what had been a single country (the Free States) broke up into four distinct nations. Johnny lives in one of them, the Plains Republic, in a city called Zenith. 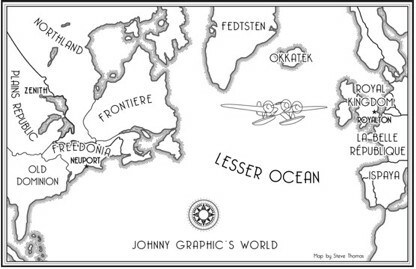 This map depicts what North America would look like to Johnny–similar to our own, but very different. Mexico is now Tierra del Sol and up in Canada, the French-speaking region has separated from the rest of the country. 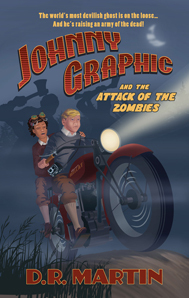 In his second adventure, Johnny Graphic and the Attack of the Zombies, Johnny and his friends fly across the Lesser Ocean to the Royal Kingdom to help put down an uprising of zombies and renegade ghosts.